How did you do with last week’s Mystery Creature? It is the Magpie Goose (Anseranas semipalmata)… not native to our Irish shores so a bit tricky for some! This unusual water fowl can be found in northern Australia and southern New Guinea. With their distinctive black and white plumage these birds are often referred to as pied geese. Their feet are a striking orange colour, and unlike most water fowl their feet are only partially webbed, their toes are very long and strongly clawed and their legs are so long that they extend beyond their tail when in flight. Although called geese these birds are classified in a sub family (Anseranatinae) all on their own. Considered by some as living fossils their ancestors existed more than 60 million years ago. 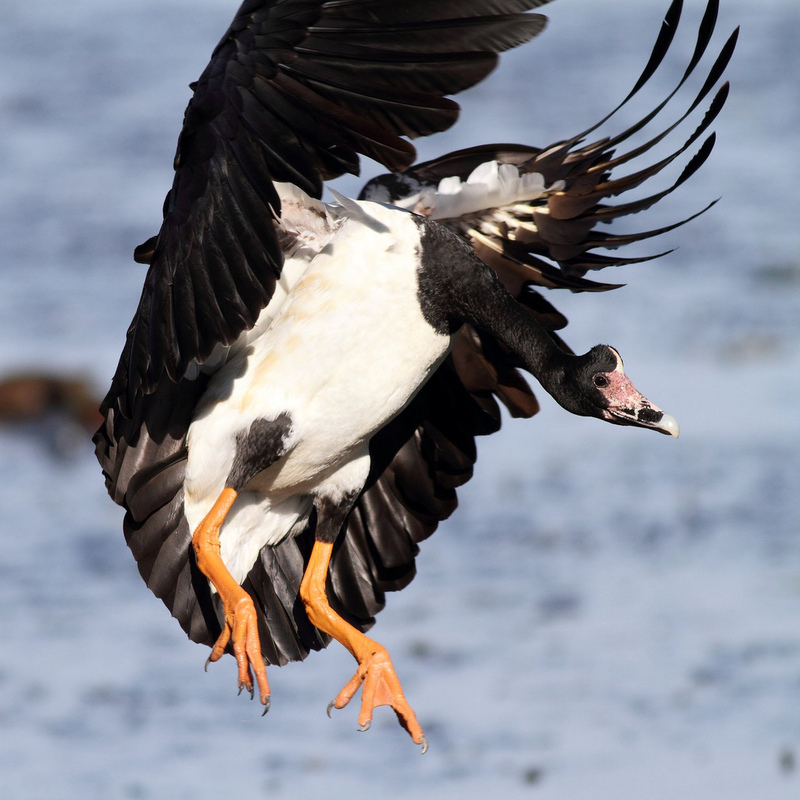 The evolutionary divergence of the Magpie goose is thought to have occurred long before ducks, geese or swans. These birds are found in a variety of open wetland areas feeding on seeds and other aquatic vegetation. They often breed in threes, with the male doing most of the nest building. Both females will lay their eggs in the same nest (up to eight eggs per female) and all three parents will help raise the young. They are the only known water fowl to directly feed their young (bill to bill). Magpie geese make a loud honking sound that can carry long distances over the wetlands. They molt their flight feathers gradually, removing the need for a flightless period. ← Fun Friday – Making butter!